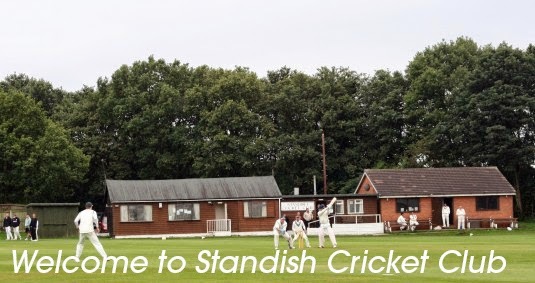 Hello and welcome to the website of Standish Cricket Club, "a club for the community". The aim of this website is to give Standish CC it's members and supporters alike a medium to keep up to date with the club and its activities. Please have a good look around and don't forget to keep an eye on Latest News and What's Going On to keep up to date with events and news. Also have a look at the all new Club-Shop under the clothing header where there is also a Swap-Shop for members new and old to sell, swap or give outgrown or unwanted items of kit to help others!! The easiest, fastest and most environmentally friendly way for the club to keep you up to date with Latest News and What's Going On is via e-mail. If you would like to be added to our e-mail list please send an e-mail to admin@standishcc.co.uk with contact as the subject, your name and details in the body and we will gladly include you. Please add this site to your favourites and keep dropping by to stay up to date. Thanks for visiting and we look forward to seeing you again soon. Follow us on our Facebook page and our Twitter feed for up to date info.